Caroline Earle White was a prominent figure in 19th century American animal advocacy. I was struck, however, when I learned that while she was growing up in Philadelphia she often went out of her way to avoid encountering animal cruelty. White would deliberately pick her walking routes so that she “avoided certain streets near her home because, in passing over them, she nearly always witnessed scenes of animal abuse which depressed her for days afterward.”* White was particularly disturbed by the sight of working horses being mistreated, and was overwhelmed by the cruelty all around her. Like many American cities at this time, Philadelphia had few regulations governing the treatment of the many animals who populated its streets. White helped to found the Pennsylvania Society for the Prevention of Cruelty to Animals (founded in 1867), was the founder and first President of the Women’s Branch of the Pennsylvania Society for the Prevention of Cruelty to Animals (founded in 1869), and the founder of the American Anti-Vivisection Society (founded in 1883). White believed in the power of humane education and worked with schools in Pennsylvania to establish essay writing contests for students in which the values of compassion and kindness to animals were explored. 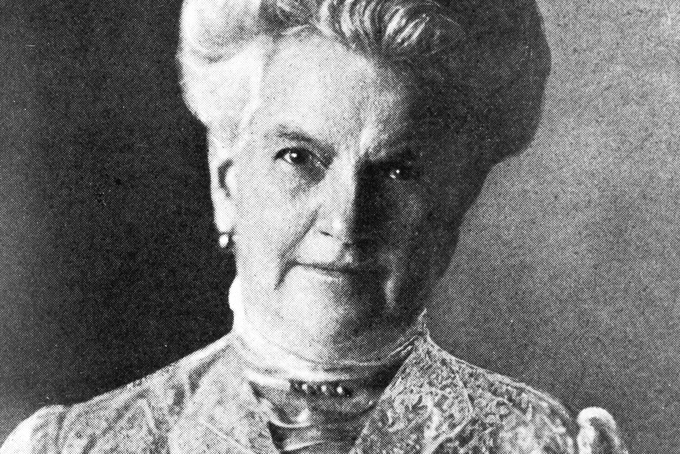 She founded the Journal of Zoophily in 1892 which served as a joint publication between the Pennsylvania Society for the Prevention of Cruelty to Animals and the American Anti-Vivisection Society, and this “aggressive humane magazine” became an important publication in the late 19th century animal advocacy efforts in the United States. Today the legacy of White’s work remains a core part of animal advocacy—under her direction, the Women’s Branch of the Pennsylvania SPCA started a shelter for lost and stray animals which remains active to the present day and, of course, both the PSPCA and the American Anti-Vivisection Society also continue to do the work that White and her colleagues started in the 19th century. Caroline Earle White with a group of WPSPCA supporters at a dedication for a new water fountain for horses. The fountain was built in honour of Annie L. Lowry who was a supporter of the WPSPCA. Today we remember Caroline Earle White for her important advocacy work, but what if she had chosen to avoid encountering animal cruelty all of her life? Her decision to confront the disturbing cruelty all around her was incredibly brave and important, and I, for one, draw inspiration from her. It is tough as heck to bear witness and to not look away from suffering. And yet, as we see in the example of Caroline Earle White, it is also possible to draw strength and determination from these moments, to use these encounters to fuel a commitment to changing the world. In fact, I’d say without these moments it is pretty hard to shake ourselves out of our complacency about the status quo. * Sydney H. Coleman, Humane Society Leaders in America (Albany, NY: The American Humane Association, 1924): 179. ** Sydney H. Coleman, Humane Society Leaders in America (Albany, NY: The American Humane Association, 1924): 182. Marianne Thieme at a rally against the Transatlantic Trade and Investment Partnership in the Autumn of 2015. Marianne Thieme is a politician working hard to make the world a better place for animals. She is one of the founding members of the Dutch Party for the Animals (Partij voor de Dieren), and currently serves as the the Parliamentary Leader for the Party. For activists understandably frustrated by governments and politicians who seem to be guided more by profits than compassion, Thieme is a breath of fresh air. Thieme is driven to make the world a better place, both for humans and for animals, and her energy and passion are infectious. She has a commanding and captivating presence, and has gained the support and respect of many who wish to see her visions become a reality. Thieme recognizes that her politics and policies set her apart from most of her colleagues — as she describes, for many Dutch politicians “animal welfare is high-priced nonsense.” This dynamic was especially apparent after the 2002 election which saw Jan Peter Balkenende come to power. As Thieme remembers, “farmers’ representatives of his coalition parties were keen to reverse all animal welfare measures from the last 20 years as swiftly as possible. Animals became objects once again, which were only intended to serve the appetite and the economic purposes of people.” In response to this, the Party for the Animals was founded, a political party that has since gained seats in both the European Parliament and the Dutch House of Representatives. Marianne Thieme joined by several other women who support the Party for the Animals at a rally against the Transatlantic Trade and Investment Partnership in the Autumn of 2015. One of the markers of the success and staying power of this new political party is that very soon after the Party for the Animals was founded other political parties began to pay more attention to animal welfare issues. The very presence of the Party for the Animals made other parties realize that constituents were becoming increasingly concerned about the treatment of animals and that they had to respond accordingly if they were to stay relevant. As Thieme recalls, “many other parties jumped on the bandwagon because they realised that animal welfare was becoming an increasingly important issue for the electorate.” Even though the Party for the Animals doesn’t hold many seats in parliament, they have been very influential in ushering in change in the Netherlands because of this dynamic. Thieme is particularly proud of the way that The Party for the Animals has been able to “push other, bigger political parties to start being more animal friendly.” She points to the recent ban on fur farms in the Netherlands, an initiative that passed because of the support of several different political parties. Marianne Thieme being interviewed by Dutch media about the rally against the Transatlantic Trade and Investment Partnership in the Autumn of 2015. When asked about some of the biggest political victories that she has seen so far in her career, Thieme points to a ban on wild animals in circuses that came in to effect on the 15th of September, 2015. Similarly a recent ban on the import of hunting trophies in the Netherlands is also an initiative that Thieme and her colleagues in the Party for the Animals are very proud of. One of the main goals that Thieme has is to continue to push for the end of factory farming. She wants to see initiatives like a “meat tax” as a way to use economics to encourage people to switch to a plant-based diet. Thieme has long worked to make the world a better place for animals, and her role with the Party for the Animals has certainly given her an important platform from which to speak out against the many injustices that animals continue to face in the 21st century. We certainly hope that her example continues to serve as an inspiration to both voters and other politicians. 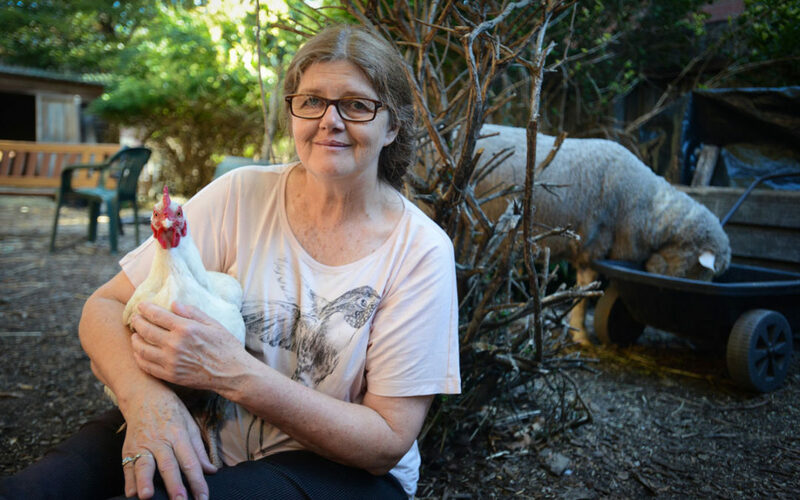 Patty Mark at home with a rescued chicken and sheep. When many people hear the phrase “animal liberation” they imagine covert operations in which those participating are clad in head-to-toe in black, their faces covered in order to conceal their identities. The shadowy nature of these encounters (real or imagined) has contributed to a somewhat negative impression of animal liberation among the general public. There is a fear of violence, a sense that these cloak-and-dagger style operations have no place in a “civilized” society. It is the activists, in other words, that tend to be envisioned as the ones causing harm in this version of events. Patty Mark, the founder of Australia’s Animal Liberation Victoria, has much respect for these non-violent activists, however, she chose to approach animal liberation differently. Mark pioneered a form of activism we now know as “open rescue,” and, in so doing, has helped to change the conversations about activism and about how nonhuman animals are treated and valued in our contemporary world. In the “open rescue” model, there is no attempt to hide or avoid detection. Those participating in open rescues rely on video footage to not only show the deplorable conditions they find the animals in but also the importance of the immediate care and attention given to neglected and enslaved animals in great need. Diana’s bravery (and filming skills) will never leave my mind. The footage she brought to me will also never leave my mind. There in front of me, clear and painfully sharp, were dead and dying hens sinking in their own feces; hens with their combs drooped over their eyes unable to hold their heads up waiting to die; piles of dead birds sinking into a liquid slush of feces where a water source from above had been leaking. They had obviously tried very hard to get a drink. It was beyond heartbreaking, it was beyond unjust. Seeing this footage galvanized Mark who immediately began making plans to rescue the hens in this facility. She knew that turning the footage over to the authorities and imploring them to investigate on the grounds of cruelty and neglect would not help the hens as she had tried this too many times before. Instead, she “had an overwhelming gut reaction to go there myself, to hold them, help them, give them some water.” She began to organize a “rescue mission,” and part of this process involved talking to “a trusted media contact who offered to send a camera crew and reporter along.” Mark was excited by the potential of having this mission documented and, as she recalls, “it didn’t cross my mind for our action to be clandestine, only to somehow get ourselves in there safely so we could help as many hens as possible, to document conditions so people would become aware of what was happening and to openly identify ourselves while doing what needed to be done.” This first “open rescue” made the national news in Australia as a story titled “The Dungeons of Alpine Poultry.” This set the course for many more rescue operations of this nature in the subsequent decades. Mark points to the “teamwork” aspect of open rescues, and how in this model a number of people come together to help animals who are in desperate need of a compassionate intervention. In addition to directly and immediately helping to improve the lives and wellbeing of the animals in these facilities, open rescue operations also help to “document the appalling conditions that billions of animals are forced to endure.” Further, the presence and visibility of rescuers in the footage helps to change the dialogue about animal liberation. As Mark notes, “by standing strongly right there with these animals we are openly acknowledging for all to see that what is happening to them is wrong and needs to stop.” In other words, in the open rescue model of animal liberation the idea of the activists as being the ones in the wrong is turned on its head. Instead, people are left asking questions about a system that permits such suffering to happen in the first place and which castigates those people reaching out to give immediate aid to sick and dying individuals who were left unattended. Mark is acutely aware of the scale of suffering and is haunted by thoughts of all the animals the ALV have not been able to save, the ones “we have to leave behind.” While she cannot forget these animals, she does not allow herself to be overwhelmed by sadness or despair. It is almost as if the memory of those she could not help pushes her forward and drives her to work even harder for those who still have a chance. Mark works tirelessly to make a difference and is singularly focused on helping animals—every decision she makes is based on how her actions will best help support her drive to help animals in need. Mark’s mission to help animals began in the early 1970s. Like many people, she had considered herself to “love animals” but did not stop to think about the fact that so many of them suffer and are killed for food production. This all changed in 1974 when she saw a goat’s head in a cauldron of soup during an 18 month bicycle tour of Europe and Asia on her way to Australia. This sight caused her to become vegetarian immediately (17 years later she went vegan), and also forced her to reflect on the horrific ways in which so many animals are treated and the fact that animals have their own wants, needs, desires, and feelings that so often go ignored in favour of human wants, needs, desires, and feelings. Prior to this, the notion of “animals possessing autonomy” had never crossed her mind—“this was something I don’t recall ever being discussed or considered,” she notes. This realization changed when her husband brought Animal Liberation by Peter Singer home from the library. Mark credits this book with informing her about what was happening to animals on a grand scale. She states, “I had to repeatedly put the book down as finding out the truth and its enormity was too upsetting.” But it was many years later after she came across the writings of Gary Francione that her mind was opened to what animals needed most—abolition of animal use and abolishing the property status of animals. Shortly after reading Singer’s book Mark founded Animal Liberation Victoria (ALV) and set about finding like-minded people to join her efforts to change the world for animals. She posted a notice containing the words “Help the Hens” in big, bold letters in a local shop, and on the 7th of December 1978, the first ALV meeting took place in Mark’s house. Seventeen people were in attendance at that now-historic meeting, and the focus of that evening’s discussions was on finding ways to abolish battery cages. Mark knew that changes like this would not happen overnight—“I remember telling this meeting that we had to be patient, that it may take us two years” to achieve this goal. In Australia the fight to ban battery cages continues to the present day, but Mark and ALV now don’t focus only on caged hens but on animal agriculture in all its forms. ALV and Mark are at times marginalised for their strong abolitionist stance, but they are not deterred by seemingly slow progress and they continue to work steadily to ensure a strong foundation for a successful animal movement. Right from the earliest days of the organization ALV members gave talks at schools and public events, organized protests and marches, circulated petitions, and distributed countless leaflets outlining the reality of life and death for farmed animals. Mark and the other members of ALV made a conscious decision to focus their efforts on farmed animals because there was so little attention paid to their plight. As Mark recalls, “there was no Internet or Facebook at this time, and images of animal abuse inside animal agriculture were rare.” Mark and her colleagues at ALV felt that they “struck gold” when they were able to obtain images showing the deplorable conditions farmed animals faced and were convinced that “once we printed these images, for instance a featherless hen in a battery cage, onto a leaflet or a huge placard this horror would be banned immediately.” While they were dismayed to discover that this was not the case, Mark and her fellow advocates continued to work tirelessly to educate and raise awareness about the realities of life (and death) for the animals who are raised for food. Through the addition of “open rescues” in 1993 they were able to begin making a difference for the individual animals, something they felt was tremendously important for activists to do. Mark is a trailblazer in the world of animal liberation and has, no doubt, inspired many people with her work. She is, however, quick to acknowledge the work of people like artist Sue Coe who she met in 1999 and who remains a huge inspiration to her. She also has high words of praise for Emily Moran Barwick of Bite Size Vegan, and Joanna Lucas of Peaceful Prairie Sanctuary, activists who use their time and talents to bring the message of veganism and animal liberation to so many. Mark is also deeply inspired by the bravery, advocacy, and life of Jill Phipps, a British activist who was killed while attempting to stop a truck carrying veal calves in 1995. Katherine Meyer is a leading figure in the field of animal law and a founding partner at Meyer Glitzenstein & Eubanks, a law firm based in Washington, D.C. She has spent a large percentage of her professional life fighting to make the world a better place for animals and to protect the environment, and I was eager to meet her and interview her for the Unbound Project. Earlier this year I was in Washington for a conference and Meyer graciously agreed to meet me while I was in town. While I was looking forward to chatting with her about her ground-breaking work in the field of animal law, I was somewhat intimidated to meet her in person – what would she be like?, I wondered. We had arranged to meet in a vegan-friendly coffee shop near my hotel. “I’ll be wearing pink rain boots,” she told me as we arranged our meeting. That detail made me relax a bit – Meyer may be a force to be reckoned with in the courtroom, but she also clearly had a playful side. For example, Meyer’s firm figured out that they could use the existing Endangered Species Act in the United States as a way to help captive animals. Previously there had existed a loophole that exempted members of an endangered species who were in captivity—chimpanzees in zoos, for example, wouldn’t have been granted the same legal protections as chimpanzees in the wild. Meyer and her team petitioned the United States Fish & Wildlife Service to amend the existing law so that all members of an endangered species were treated the same way. This was a multi-year effort and they drew upon the knowledge and expertise of a coalition of chimpanzee experts to help build a rock-solid scientific and legal basis for their claims. In February 2010 the petition was submitted, and in 2015 the Fish & Wildlife Service granted the petition which declared that all chimpanzees are endangered and, as such, are to be protected under the Endangered Species Act. Knuckles, a chimpanzee rescued by the Centre for Great Apes. At times the existing laws that Meyer and her team work with have been on the books for many decades as some state animal cruelty codes date as far back as the 19th century. While some might not see historical legislation as having much relevance in our contemporary society, Meyer finds creative ways to use these long-standing codes to help make a difference for animals today. In fact, she used this tactic with one of the first animal law cases she was involved with, an effort to shut down an annual pigeon shoot in a small rural Pennsylvania town. This was an event in which thousands of pigeons who had been captured throughout the year were released and then shot by those participating in the event. Most of the birds were not instantly killed by the gunshots, rather they were mortally wounded and lay on the ground suffering and slowly dying for hours. Meyer and her team learned that at the end of the event little “trapper boys” went out in the fields to pick up the wounded animals. They got one of the leading pediatric psychologists in the nation to support their efforts to shut down the event by providing a statement about how this kind of activity was not good for a child’s well-being. It was, however, the state cruelty code in Pennsylvania turned out to be the most important part of the fight to stop this annual pigeon shoot. This piece of legislation was written in the 19th century and it had a unique provision that permitted an agent of a humane society to get involved in order to “prevent an action.” In most states the cruelty codes only permit involvement by animal advocacy groups after the fact, so this was an important feature of the legal landscape in Pennsylvania and one that helped Meyer and her team strategize about how best to stop this event. They eventually partnered with the Pennsylvania SPCA, local humane agents, and the Fund for Animals in order to introduce a series of lawsuits to try and stop the pigeon shoot. At this point in our conversation, Meyer stopped to stress that “sometimes you can lose the battle and win the war.” What she meant here is that often she knows that the cases she takes on will be difficult to win, but she takes them on anyhow in the hopes that the public education that inevitably occurs as a result of such cases will help change broader conversations about how animals should be treated in our contemporary society. One such example was when Meyer brought a case against Feld Entertainment in an attempt to get Asian elephants removed from the Ringling Brothers circus acts. This became a massive lawsuit that played out over many years. There were many “highs and lows” throughout the process. Many of the world’s leading elephant experts became part of the team (most of whom worked pro bono), and the case eventually got to trial. Meyer was proud of the effort that this team put together—she called it a “great case”—but, in the end, the judge ruled against them on “standing” —he held that none of the plaintiffs in the case had enough of a “personal” stake in the outcome to provide the court with subject matter jurisdiction. As a consequence, the judge did not decide the merits of the plaintiffs’ claims, including whether the use of bullhooks and chaining of the animals violated the Endangered Species Act. This was a “heartbreaking” loss for Meyer, one that was compounded by the fact that Feld Entertainment brought retaliatory action against Meyer and her team. However, all was not lost. This lawsuit drew sustained attention to the systematic abuse of animals in circus acts. The facts of the case and particularly the evidence adduced at the six-week trial held in the case were presented through major media outlets, including previously hidden details drawn from internal documents. The testimony in which employees admitted that elephants were beaten with bullhooks was particularly damning and served as an important catalyst for larger conversations. The attention this case received in the media led to widespread concern about the treatment of elephants in circus acts which, in turn, ushered in a number of instances of individual jurisdictions banning the use of bullhooks and paying closer attention to the ways in which animals were treated in these kinds of ventures. An elephant performing in a circus act. When Meyer first started practicing law, “animal law” as we now know it did not exist. She began her professional career doing advocacy work for humans, and it was in this capacity that she learned how to think strategically about the law. She has always loved animals and has long felt a deep emotional connection with them. She fondly recalls the many cats and dogs who shared her home as she was growing up, including a Boxer named April who had a special place in her heart. She also remembers how uncomfortable she felt during class trips to the zoo—instead of enjoying herself, she left feeling sad. Thanks to the developments in the field of animal law in recent years, she is now able to combine that love of animals with her professional work. Meyer works hard and has incredibly high standards, something she and Mr. Glitzenstein demand from the entire team at Meyer Glitzenstein & Eubanks. When the firm decides to bring a case forward it will always have been meticulously thought-out and planned. “We try not to let a brief go out the door with so much as a typo in it,” Meyer stresses, “we are up against the federal government and extremely prestigious corporate law firms, and our work needs to be of the highest caliber for us to have any chance of being successful in court.” Meyer Glitzenstein & Eubanks has developed a reputation as a firm that doesn’t “make idle threats about bringing law suits to vindicate the rights of animals,” and their opponents take them seriously in court. This has been incredibly important as the fields of environmental and animal law developed. As is often the case with emerging areas of knowledge, initially there were many who were skeptical about the legitimacy of these areas of practice, so Meyer knew just how crucial it was to always demonstrate their diligence and professionalism, to force people to take these cases as seriously as they would in any other sub-field of the law. Meyer is now a leading figure in animal law, and has served as a mentor for many law clerks, interns, and associates who have worked with her. She finds it very rewarding to see so many of the people she has mentored branching out and finding success in this field, including some that she has nominated to be featured in the Unbound Project. For example, she points to Delcianna Winders the first fellow in animal law at Harvard Law School, and someone that Meyer refers to as a “wonderful, smart, and courageous lawyer.” She also was quick to praise the work of Amy Atwood and Tanya Sanerib who are both attorneys for the Centre for Biological Diversity, an organization that Meyer describes as “one of the most aggressive, effective, environmental groups in the country.” Meyer has been especially impressed by Atwood and Sanerib’s “amazing energy, intelligence and work ethic.” She also has high praise for the firm’s former associate, Michelle Sinnott, who served as the paralegal for the Ringling Brothers trial and is now an attorney with the prestigious environmental group Trustees for Alaska. Meyer’s advice for young people who want to help make a difference for animals is to “follow your passion, and to be bold about following your passion.” Meyer Glitzenstein & Eubanks receives many resumes each year, and what Meyer looks for as she reads through these documents is evidence of applicants who clearly demonstrate commitment to the causes they most care about. For Meyer, things like grades are far less important than volunteer work and involvement with grassroots issues and campaigns. One of the most important guiding principles in Meyer’s professional and personal life is “one step at a time.” Every case is treated like a new opportunity to continue to chip away at the systemic and deeply entrenched ways that animals are abused and exploited in our contemporary world. 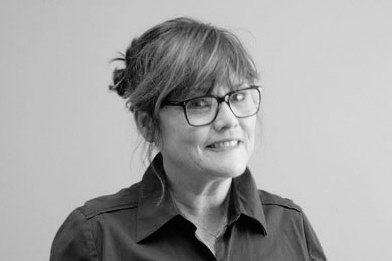 At the same time, however, Meyer has a lot of institutional knowledge and frequently remembers “the genesis of many of these issues in animal law as well as how it evolved.” In the more than 27 years since she has been practicing animal law she has learned so much, and each of her cases is helping to reform dominant ideas about how animals should be treated. Her work has helped countless animals and we truly admire the tenacity and fortitude she brings to each and every one of her cases. 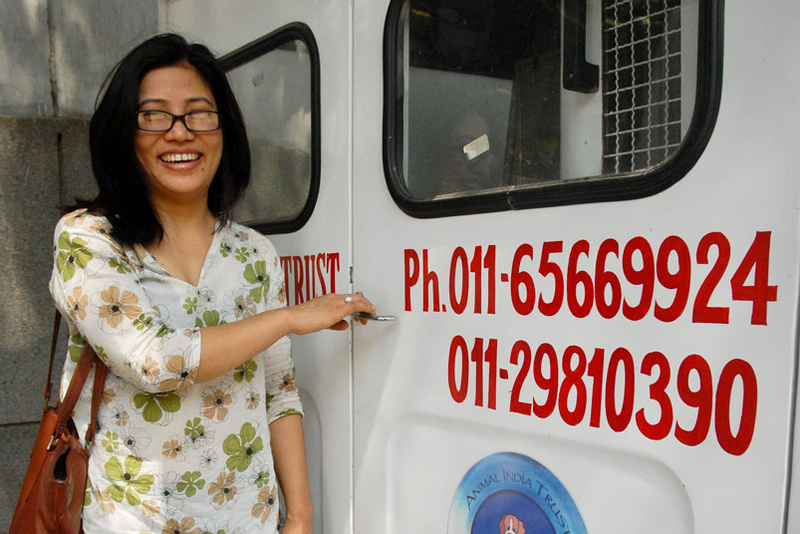 Dr. Sarungbam Yaiphabi Devi with one of the Animal India Trust mobile vet clinic vehicles. AIT provides a wide range of services including: spay/neuter programs, rabies vaccinations, administering medical care to sick and injured animals found on the streets, and a foster/adoption network that helps place orphaned puppies in loving homes. AIT also works with economically disadvantaged populations to provide free free veterinary care for their companion animals. AIT started small and first began operating out of a small basement office. Today AIT has two offices in Delhi and is looking to start a third location early in 2017, a testament to just how successful this venture has been. Dr. Devi remains the managing trustee and veterinary surgeon, but now has a staff and many volunteers to help her with this work. Dr. Devi is also a volunteer and board member with All Creatures Great and Small, a sanctuary for “animals in distress.” When she first started AIT she “felt terrible” that she didn’t have anywhere to take “the handicapped or very old dogs, or puppies without mothers.” All Creatures Great and Small offers sanctuary to these animals and Dr. Devi has strong words of praise for this organization – “I am very happy that all blind or amputated animals need not be euthanised but will be taken care well at this sanctuary.” All Creatures Great and Small has a good working relationship with AIT, and this allows yet another level of care to be provided for animals in need. Donations made to both Animal India Trust and to All Creatures Great and Small help to provide care for animals in need in the Delhi region of India. Donations to AIT can be made via PayPal (animalindiatrust@yahoo.com) or by sending a cheque or money order payable to Animal India Trust. The mailing address is: Animal India Trust, Part 1 Jal Vihar, New Delhi, 110024, U.T., India Donations to All Creatures Great and Small can be sent to D 45 Gulmohar Park, New Delhi, 110049, India.